This week, our photo class assignment was to take a walk with your camera, take some photos, and look them over-“let them wash over you”, as our instructor would say. Then we were to take the same walk again, and see if the first set of images affected our perception of the territory. 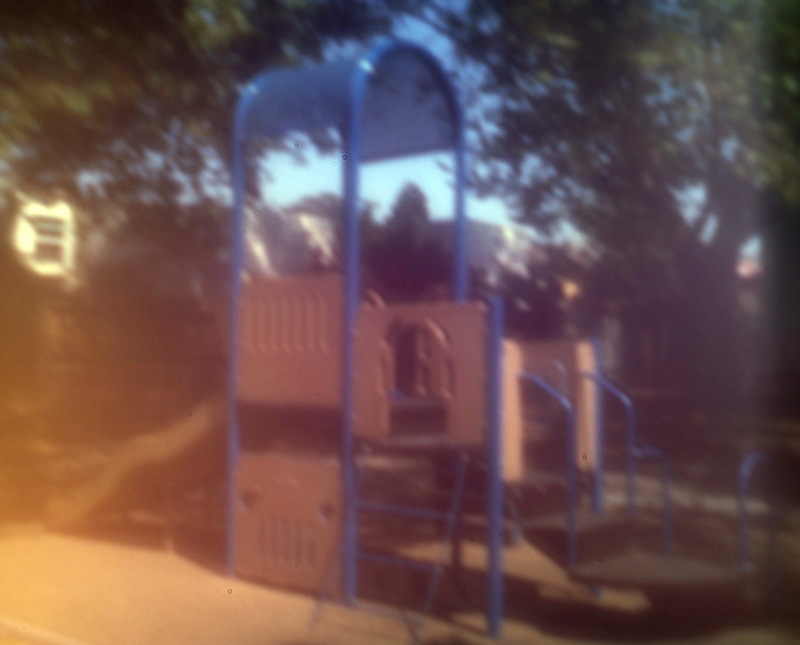 While walking my dog, I had taken some neighborhood shots, but because I take this walk so often, it was hard to get inspired, so I decided to mix it up by making a pinhole lens. I am attracted to alternative processes. Photography can be so modern, and so technical, both in its execution and processing, that we can lose track of what went on prior to the “Modern Era”. I’m not talking about the film vs. digital debate, but all imagemaking. The stuff that happens at the fringe frequently makes us think differently about what we do, even if we are in the mainstream. 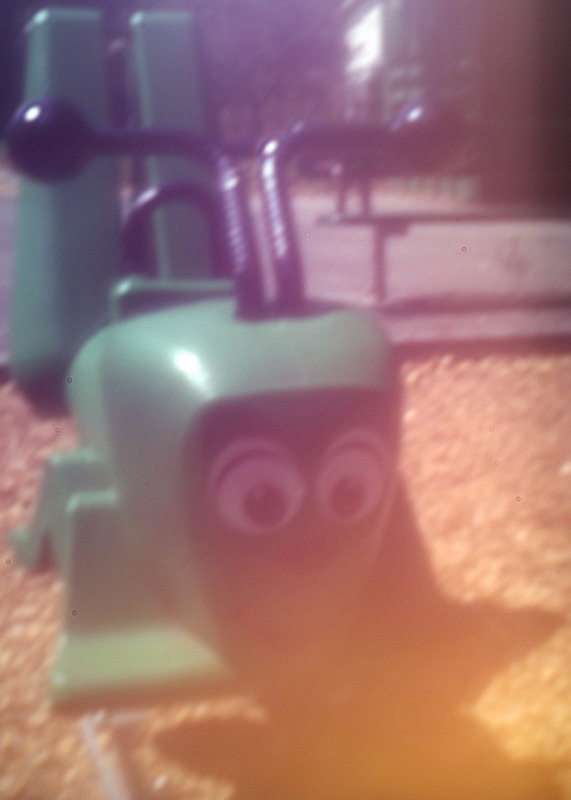 Just like I am not a good still life or portait photographer, I’m also not a good pinhole shooter. 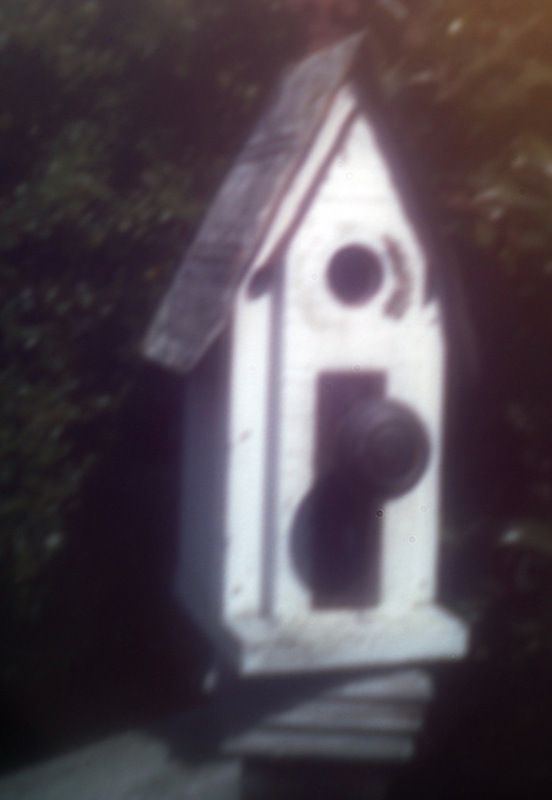 For me, the best pinhole photos illustrate what is unique about the process-the crazy wide angles and near infinite depth of field. Some photogs have an eye for the subject matter that brings this to the final image, and some don’t. But it is still fun to try. There is satisfaction in making the lens. Those of us who spend our days doing work that produces no physical, tangible thing still enjoy getting our hands dirty from time to time. 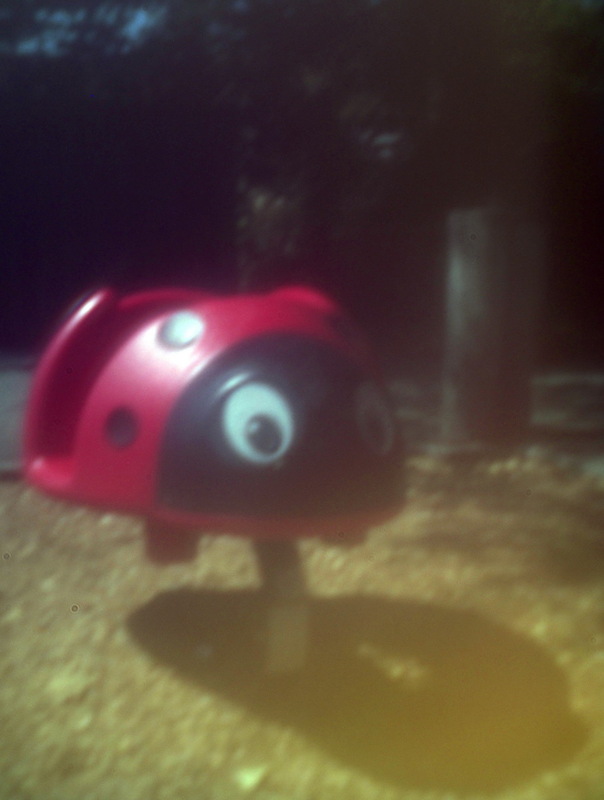 There are premade pinhole lenses available all over the Internet. 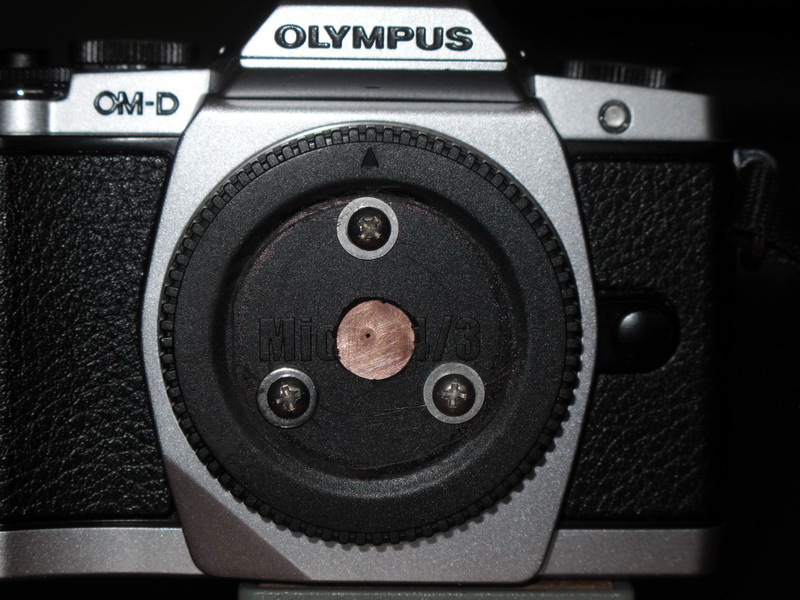 However, their marketing is loaded with language about “laser cut pinholes”, “flawless”, and “precision fit”, which is the opposite of why I am attracted to pinhole photography-the unexpected results are what I am looking for. I already had a body cap for my camera, and I had saved a soft drink can from my last lens project, so I knocked out a new lens, and took my dog for a walk. My experience with these home made lenses is the best results come from bold, colorful shapes that are brightly lit. 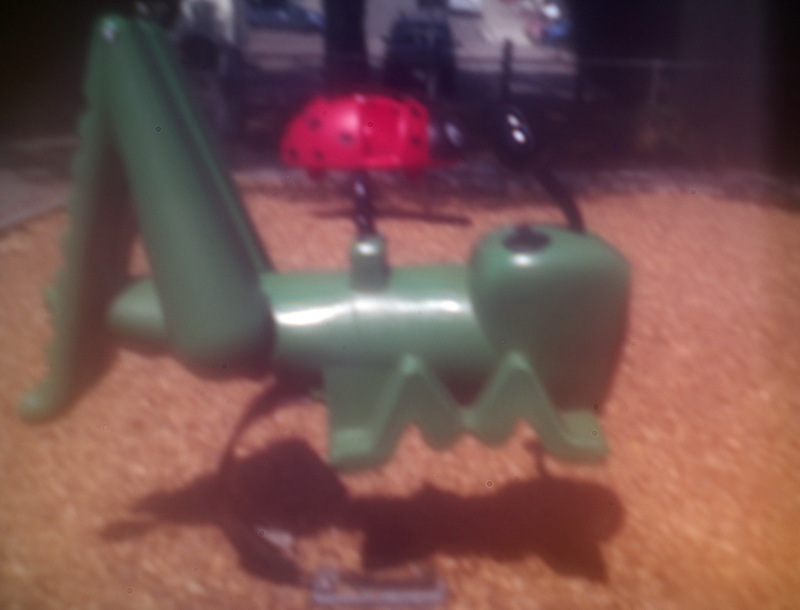 The play structure at our neighborhood park seemed a good subject, as did the giant, springy insects that the kids bounce round on. 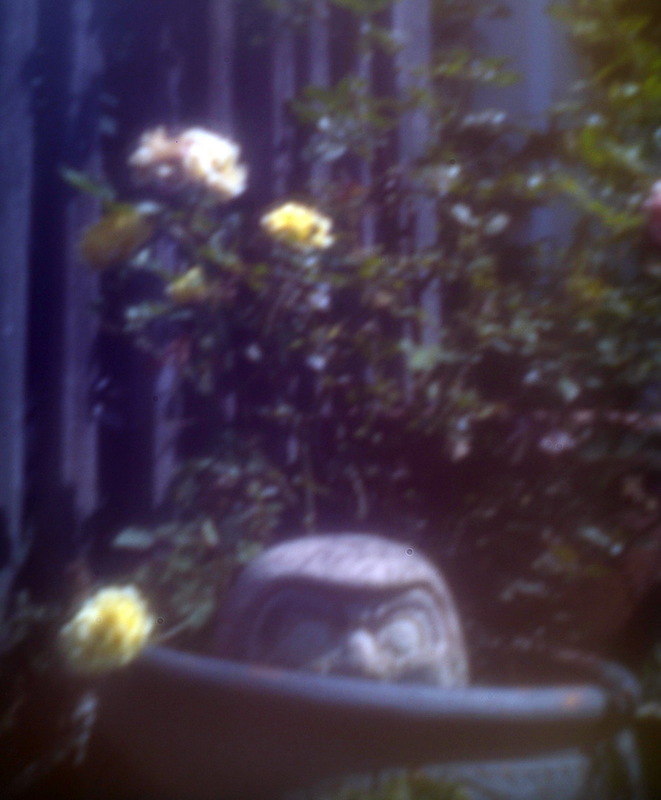 I rounded this exercise out in my backyard with a birdhouse and garden troll. This entry was posted in Photography on September 11, 2016 by Jimmy Reina. Or, more accurately, behind every picture there is a story. I’m taking this photography class, and we had an assignment. The instructor paired us up to do a portrait of each other. My gut feeling was fear-I hate having my picture taken. One of the good things about being “the photographer” in the group, is that you get to stay behind the camera, not in front of it. When I do have to pose more often than not, my expression shows how uncomfortable I am. And don’t ask me to smile. But I was willing to be a team player, and go along with the assignment. My first impression of the woman that I was partnered with to was that she has an interesting profile, and I imagined a high contrast scene, something like the one used to introduce Alfred Hitchcock on his television show in the 1950s. However, she didn’t respond to my attempt to get together, and since I wanted to meet the deadline, I decided to go it alone-a selfie. I started thinking about my discomfort, where did it come from? I remember once hearing that certain cultures felt that the photograph would steal a person’s soul. I haven’t had my DNA checked, but the chances that I am one of those folks is pretty slim. A portion of our fence was in disrepair, I was able to wrestle a fenceboard out, and rig it up to take this shot. The camera was on a tripod, with a timer actuated shutter, and it took a dozen tries to get the light on my eyeball, but I think it came out OK. Someone in my class thought it was creepy. This wasn’t my intention, but they say that one of the purposes of Art is to provoke. This entry was posted in Photography and tagged Hitchcock, photography class, selfie on September 5, 2016 by Jimmy Reina.